KUALA LUMPUR: On Feb 11, 2013, the nation was rocked by news that broke late into the night about the eastern shores of Sabah being invaded by a group of armed men. The group, comprising over a hundred people, was quickly identified to be followers of self-proclaimed Sultan of Sulu, Jamalul Kiram III. They were led by Jamalul's brother Agbimuddin Kiram. Hailing from Pulau Simunul of Tawi-Tawi in the southern Philippines, the group first entered Malaysian waters by boat on Feb 9 and gathered in stages at Felda Sahabat 17 in Kampung Tanduo, Lahad Datu, as a means of ‘reclaiming’ part of Borneo as their ancestral land. This forced some eighty locals to flee from 15 homes. Upon being discovered by fishermen, the Filipino rebels broke into smaller groups and entered several locations in the village, including Kampung Sungai Bakau. On Feb 14, Prime Minister Datuk Seri Najib Razak said the Malaysian government would negotiate with the group before ousting them from the area. Then Inspector General of Police Tan Sri Ismail Omar said negotiations with the group were in progress to find the best solution without bloodshed. Two days later, then Home Minister Datuk Seri Hishammuddin Tun Hussein made a statement that played down the situation; the group merely comprised ‘malnourished’ and elderly men in sarongs and slippers, mostly unarmed, he said. The tussle between Malaysia and the Philippines over Sabah had been a long-standing one. The Suluks wanted Sabah to be returned to them, claiming it was seized by the British from their government. But Malaysia had always rejected the Philippine's territorial claim to Sabah as it deemed that Sabah residents had exercised their right to self-determination when they voted to join the Malaysian federation in 1963. The Sulu sultanate also lost their rights in the Madrid protocol of 1885 when their predecessors Spain relinquished all their claims to Sabah, giving all control to Malaysia’s predecessors, the British. However, it was subsequently learnt that the Malaysian Embassy in the Philippines were issuing cheques for RM5,300 to the legal counsel of the heirs of the Sultan of Sulu in keeping with the terms of an 1887 agreement. While Malaysia considered it as annual cession payment for the disputed state, the sultan’s descendants considered it as “rent”. Many then called for the Malaysian government to reduce or stop the cession payment altogether, including former premier Tun Dr Mahathir Mohamad and opposition lawyer Karpal Singh. The first shootout between Malaysian security forces and the small group of Filipino rebels broke out on March 1 when the latter tried to break a police blockade in Kampung Tanduo. Najib confirmed that the event had left two police commandos dead while Sabah police commissioner, Datuk Hamza Taib, confirmed that 12 of Kiram’s followers were killed. At this juncture, the Philippines government seemed to totally leave the fate of the royal Sulu army in the hands of the Malaysian security forces. In the early hours of March 3, a group of Filipino gunmen, believed to be less than 10, ambushed the police in a village in Semporna, Sabah. 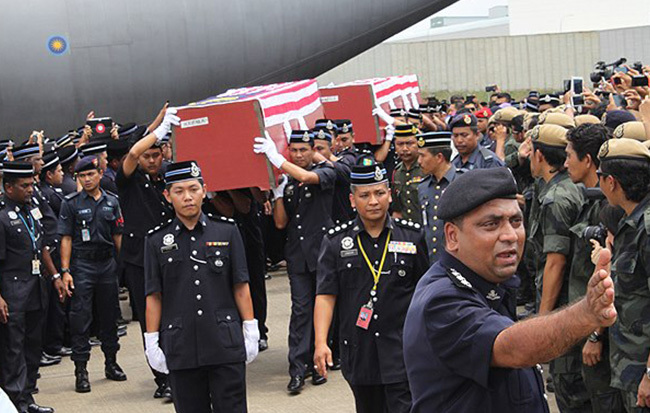 The media reported that six Malaysian police officers and seven assailants were killed. It was also reported that four of the policemen had their bodies mutilated, with one beheaded. On March 5, three F-18 and five Hawk aircraft filled the Kampung Tanduo skies in an airstrike against the Filipino rebels at dawn in an effort to flush them out. 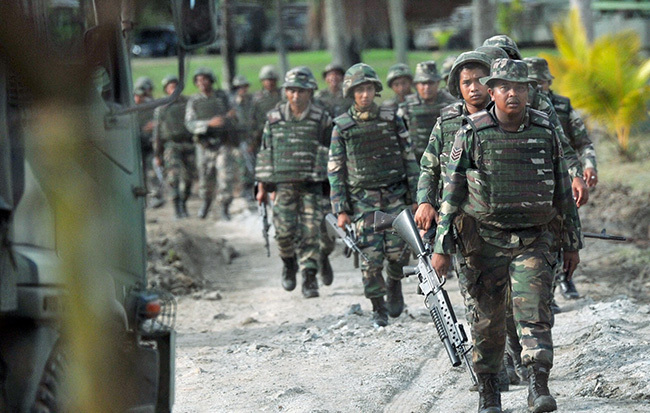 Thirteen of the Sulu gunmen were killed in the process. 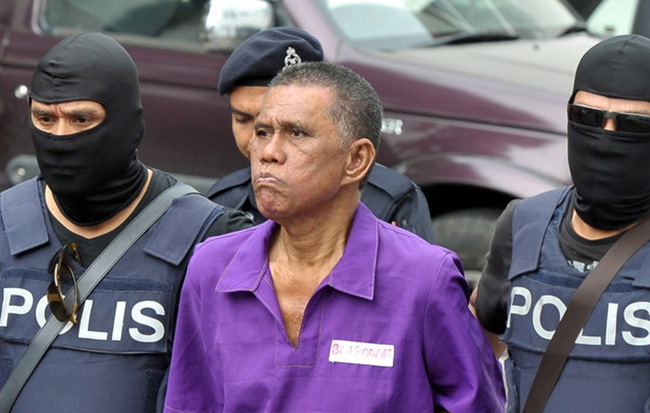 The deaths were confirmed by then Defence Minister Datuk Seri Ahmad Zahid Hamidi. 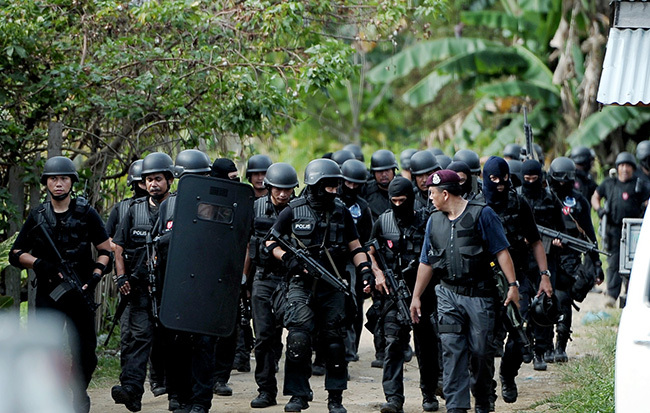 Codenamed Ops Daulat, the ‘mopping up’ stage also saw ground troops going door-to-door to sniff out the intruders. However, none were caught. Kampung Tanduo was finally secured by Malaysian forces on March 11, with the bodies of 22 Sulu gunmen recovered. Despite the deaths, the Kiram family insisted that its army stay put in Sabah and not surrender. Between March 20 and April 1, 15 Filipino nationals were charged in court over the incursion – eight of them in the Tawau High Court while the rest in the Lahad Datu Magistrate’s Court. A Malaysian Special Branch officer, Corporal Hassa Ali Basari, was also charged and convicted for intentionally refraining from disclosing information on terrorist acts by the Sulu gunmen in Lahad Datu. 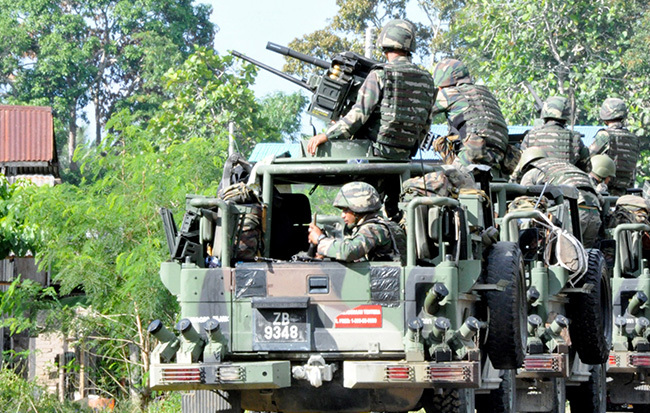 Ops Daulat ended on June 29 when it was replaced by the Eastern Sabah Security Command (ESSCOM). The body is now responsible for security arrangements in the area, covering all operations from northern Kudat to south-eastern Tawau. This is to ensure that Sabah’s eastern sea borders remain safe. A 24-hour ESSCOM operations room was also announced on Aug 12. The Lahad Datu standoff reportedly saw a total of 68 deaths – 56 from the Sulu sultanate, nine from the Malaysian authorities and six civilians.